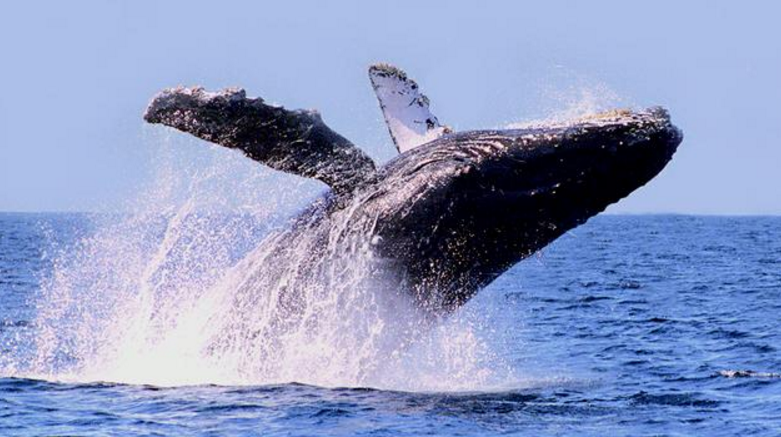 Riviera Nayarit Mexico Blog: Ahoy Humpback Whales! Between 500 and 600 humpback whales will swim in the waters just across from the coastal villages of the Riviera Nayarit on their way to Banderas Bay. November is coming to a close and the first humpback whale sightings of the season in the Riviera Nayarit are already pouring in. These gigantic cetaceans have begun to arrive at Mexico’s Pacific Treasure after their long migration from the freezing waters of the North Pole and will spend the winter playing in Nayarit’s subtropical waves. The following four months will be filled with one of nature’s most astounding displays, which will be best appreciated mainly in the area of Banderas Bay where these majestic mammals come home to year after year for their mating and calving season. During their long swim they can be sighted from the different coastal villages along the more than 186 miles of beaches in the Riviera Nayarit. Whale sightings are one of the most popular tours for both locals and visitors, thanks to their mating rituals that include vocalizations, or “songs.” Humans can only hear part of these songs, as they aren’t able to hear the lowest of the whale frequencies. The rituals also include body slams by the males to impress the females and the most spectacular movements of all: the breaches. An adult humpback whale can measure anywhere from 40 to 50+ feet in length and weigh between 30 and 40 tons. They breach throughout the year, but they do so much more in the wintertime, which is why these breathtaking jumps—when they practically clear the water with their enormous bodies—are more likely to be seen during their time in Banderas Bay. As mere onlookers it is our duty to respect their space and place ourselves in the hands of experts in order to see the whales. This is why the Riviera Nayarit Conventions and Visitors Bureau highly recommends its visitors to take tours that have been vetted by the Ministry of Environment and Natural Resources (Semarnat, by its acronym in Spanish).